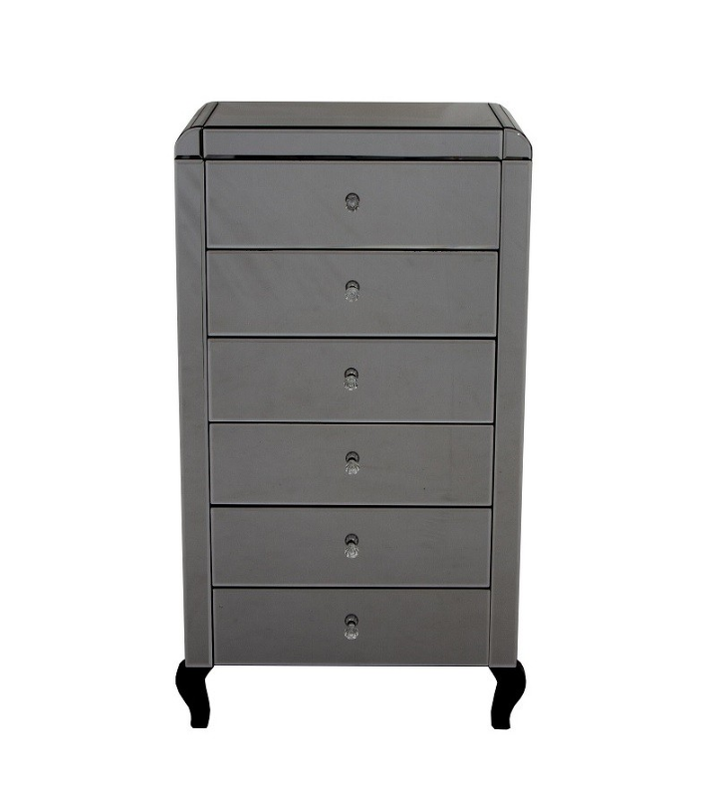 Our glamorous Grey Mirrored Chest of Drawers features a French style inspired design & completed with the contemporary twist of the grey and smokey mirrored finish! Creating an elegant yet functional piece to display proudly in your Home. It can be placed in your Bedroom as additional clothing storage or even in your Hallway to create a grand entrance - with storage, even better. 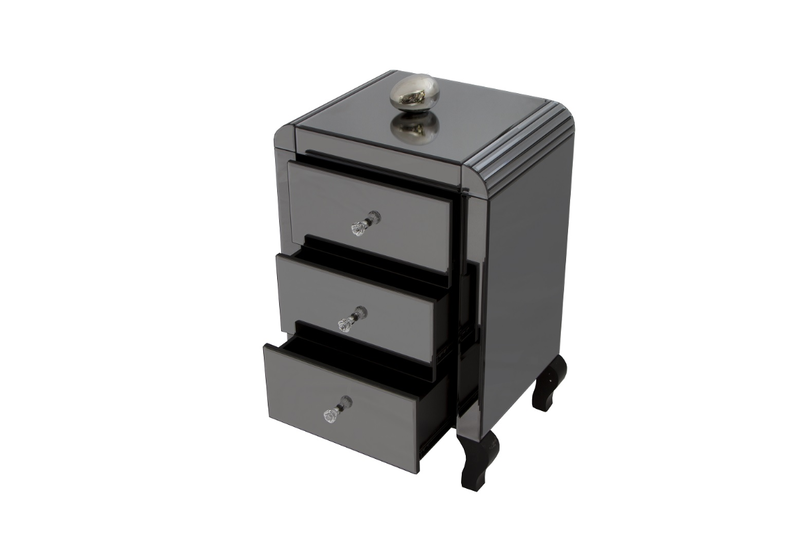 Providing counter top space to neatly store your jewellery or fresh flowers, 2 smaller handy storage drawers and the 2 large drawers. 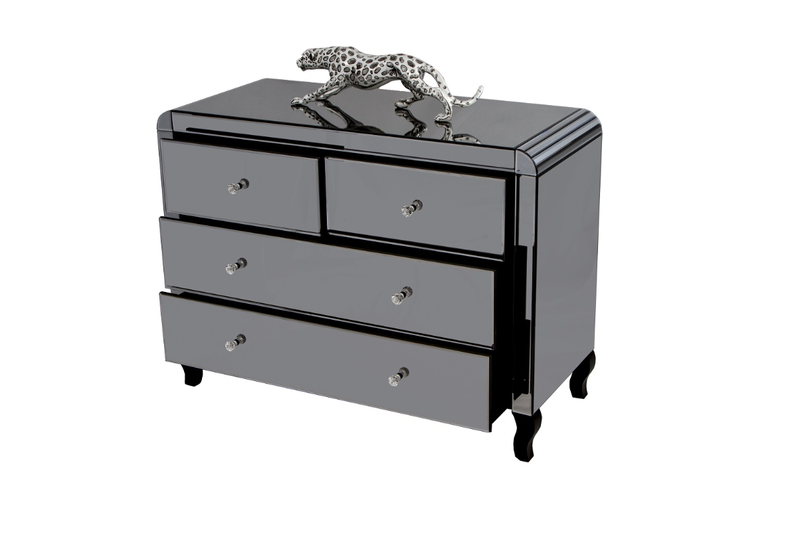 Also available in this collection is the bedside cabinet, tall boy and dressing table set.